Kimberly Cork is a mediator, facilitator, and conciliator, with over 20 years of experience with a major Canadian life and disability insurer. Since joining ADR Chambers in January 2012, Kimberly has mediated numerous disputes involving accident benefits, tort claims, and Long Term Disability claims. In addition to working as a mediator, Kimberly is also an investigator with ADR Chambers Banking Ombuds Office. Kimberly earned a B.A. in Conflict Resolution Studies and Political Science at the University of Winnipeg. She is a Fellow, Life Management Institute (FLMI), a designation that signifies advanced expertise in the operations, products and management of life and health insurance companies. In 2002 Kimberly became an associate member of the Dispute Resolution Section of the American Bar Association, and since 2014 has been a member of the Council. 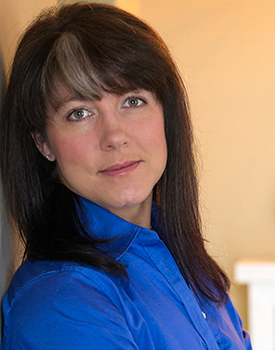 In addition to her many years of experience managing litigation in life and disability, health and major medical, accident benefits, and class actions, Kimberly also gained experience through management roles in the areas of group conflict, human rights, harassment, workplace disputes, wrongful dismissals and workplace safety and health. Committed to the development of the practice of law to include effective advocacy in the mediation environment, Kimberly has dedicated significant time as a judge for the International Competition for Mediation Advocacy (ICMA), the Canadian National Mediation Advocacy Competition (CNMAC) and the ABA Representation in Mediation National Competition. She has also acted as a coach for Mediation Advocacy Skills, a judge for Negotiation Skills for the Faculty of Law at the University of Manitoba and guest lecturer for the Faculty of Conflict Resolution Studies at the University of Winnipeg and Osgoode Hall Law School’s Masters of Law in Dispute Resolution. Kimberly’s professional activities include a number of speaking engagements at conferences including: “Preparing Your Case and Your Client”, The Advanced Mediation Advocacy Forum, Toronto, ON – November 2008; “Effective Disability Insurance Mediations – Special Considerations”, Litigating and defending against personal injury and disability claims, Insight Information Co., Vancouver, BC – April 29-30, 2004; “Breaking Impasse in Mediation”, Advanced Mediation and Advocacy Skills, Section of Dispute Resolution, American Bar Association, Philadelphia, PA – November 13-14, 2003; “Optimal Use of Mediation in Disability Claims: How to achieve early and cost-effective resolutions to insurance disputes”, Litigating Disability Insurance Claims, The Canadian Institute, Toronto, ON – November 3-4, 2003; and “Making the Most of Mediation”, Ontario Trial Lawyers Association – Spring 2003 Conference, Toronto, ON – May 31, 2003. Kimberly is available to mediate throughout Ontario, British Columbia, Alberta, Saskatchewan, and Manitoba.